Crowley has a great bureau. I have found their value to be in their service, quality and integrity of work. Since 1980, The Crowley Company has served the scanning, digitization and micrographic needs of archivists, historians, librarians, county clerks, records managers and many others by preserving important documents, newspapers, maps, books, microfilm, slides and more. A thorough understanding of project goals, current technology, and ultimate end-use are among the first considerations in creating a process that meets client needs and produces high-quality results. Clients are served from Crowley Imaging’s 18,000 SF bureau in Frederick, Maryland and on-site as required. With a foundation, three decades deep, Crowley Imaging delivers excellence in preservation microfilming, digital document imaging, document and image reformatting and microfilm and microfiche digitization. 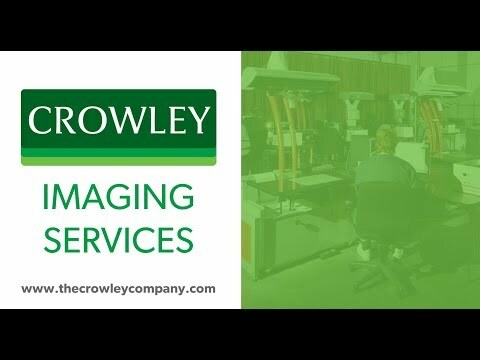 As a service bureau, manufacturer and distributor of hardware and software solutions, Crowley Imaging a competitive advantage few others can offer.